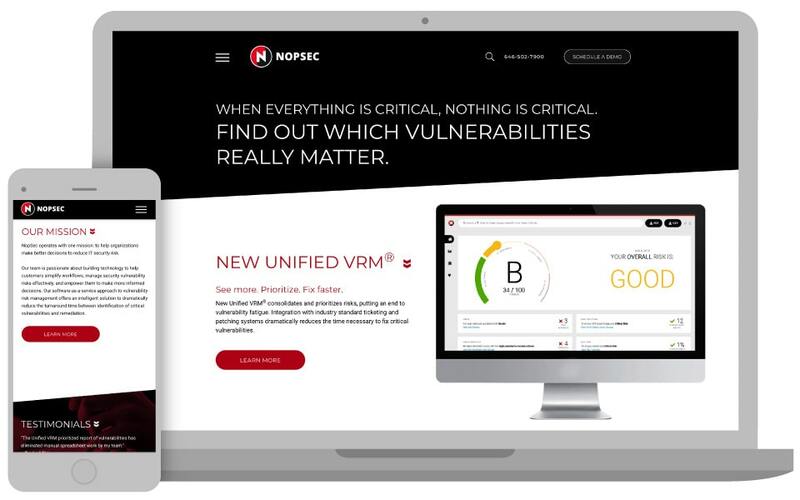 Based in Brooklyn, NY, NopSec is a globally-focused vulnerability risk management firm that helps its clients access vulnerability and reduce security risks to their systems. NopSec prioritizes actual security threats to organizations and predicts potential threats. Their advanced technology consolidates and prioritizes risks and fixes critical vulnerabilities. The client wanted a new website with a cutting-edge look and feel. 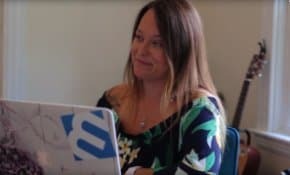 It was important that the high-tech aspects of the NopSec services be conveyed to website visitors and prospects in an easy-to-navigate format and with concise and understandable messaging. In addition, it was key that the NopSec website included the latest security features and they wanted to utilize the expertise of the security experts on the 3 Media Web team. 3 Media Web worked with a NopSec designer to deliver a simple navigation that features a HOME page with dramatic design and comprehensive “bands” that delivers significant information about the company. Using alternating colors of the NopSec logo, these bands include an introduction of key services provided by NopSec, Mission Statement, Testimonial slider, awards received, NopSec Customers, and News. A “hamburger” menu icon in the upper left of the HOME page links to a menu page to read more about the NopSec Unified Vulnerability Risk Management and other services. Other pages can be accessed from this link, including About, Partner Integration, and more. A Call-to-Action button appears on all key pages to request a Demo. The 3 Media Web development team consulted with NopSec and added certain security features to the website, such as two-step verification, the recapture of information, and the ability to block specific IT addresses. The new NopSec website met the client’s goals for usability, functionality, and security in an updated, minimalistic, and dramatic design. 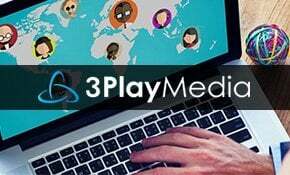 3 Media Web is the best vendor, I’ve ever worked with. They are solution-driven and a dedicated organization, that have a passion for their job. Bonus: Highly knowledgeable on website security options.